The new Spurs stadium opens tomorrow! Tottenham Hotspur will take to the stage for their first ever Premier League game at the new White Hart Lane on Wednesday as they welcome Crystal Palace in the much anticipated and long-overdue curtain-raiser. It may be six months behind schedule but the Spurs fans cannot wait to get into their new ground as their team look to assert themselves in the top four. However, things haven’t always gone well for teams beginning life in a new ground. We have taken a look at the current 20 Premier League clubs, and how they fared in the first top-flight game at their current stadium. As Steve McClaren famously said in his Dutch accent: “I sort of knew it would be Arsenal, err The Emirates!” The Gunners moved from Highbury to their brand spanking new stadium in 2006 and welcomed Aston Villa in the first Premier League game. Olof Mellberg, the towering Swedish centre-half scored the first competitive goal at the new ground before Gilberto Silva salvaged a draw for the hosts. Dean Court, now known as the Vitality Stadium, has been home to a Bournemouth team since 1923 but it has changed a bit since them. The ground was completely rebuilt and rotated in 2001 whilst several new stands have been built as they have risen through the leagues. Their promotion to the Premier League came as a surprise to many but the club have been brilliant since reaching the top flight. However, their first Premier League game at home ended in defeat as Aston Villa came away with a 1-0 win thanks to a Rudy Gestede goal. With Bournemouth now an established top-flight club, there could be a new stadium on the horizon. 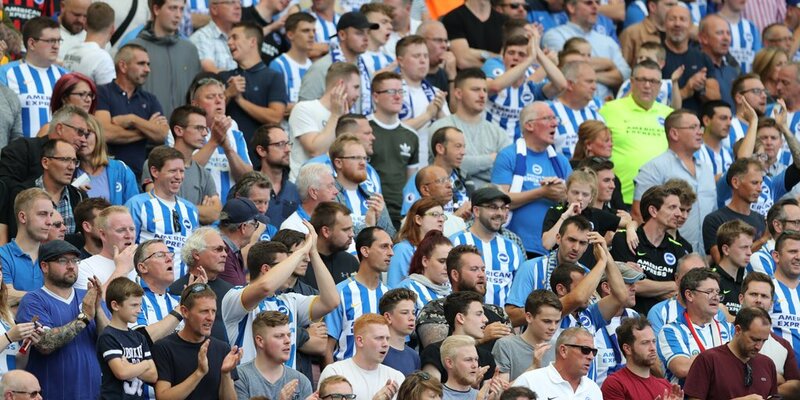 Brighton won their first league game in the Championship at their new ground back in 2011, beating Doncaster 2-1 which was an incredible achievement having been ‘homeless’ for over a decade. Promotion to the top flight followed and in 2017 they took on Man City in their first home game at this fantastic stadium. Unsurprisingly, they lost 2-0 but of course managed to stay up at the end of the campaign. Fun fact. Turf Moor is the longest continuously used ground of any of the 49 teams that have played Premier League football. It has hosted Burnley since 1883, with the hosts losing 6-3 in their opening game to Rawtenstall but their first Premier League game at home came in 2009 and it was a memorable one. Champions Manchester United came to town and were defeated 1-0 after a stunning Robbie Blake striker. The worst named stadium in the Premier League has been Cardiff’s home since 2009 after they moved from Ninian Park. The ground hosted a 4-0 win against Scunthorpe for their first game at the new ground but it took until 2013 for them to reach the Premier League, albeit for a brief spell. The beat the team that would win the league, Man City, in an incredible game which ended 3-2. However, it would not be enough after a disastrous second half of the season saw them relegated, with the shame of wearing red instead of their famous blue thanks to Vincent Tan. Neil Warnock will be hoping he can avoid the same fate this season. Stamford Bridge has been completely transformed over the years but it has been the home of Chelsea since 1905. Their first competitive game there ended in a 5-1 win against Hull over a century ago whilst the Bridge has also hosted three FA Cup finals before Wembley Stadium was completed in 1923. When the Premier League kicked off in 1992 Chelsea did not have the best of times. They lost didn't win any of their opening four games and lost their first home game at the hands of Norwich, who would go on to finish third. 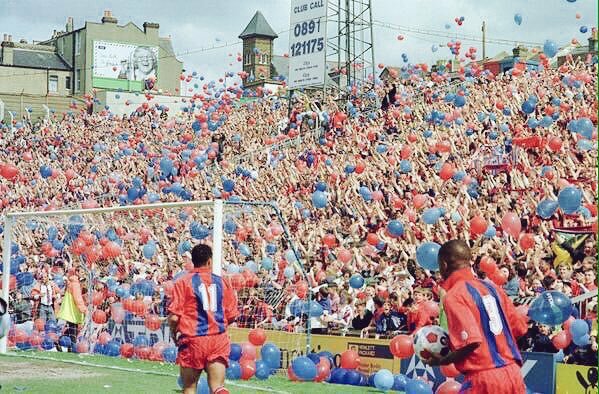 Built in 1924, Selhurst Park is one of the most charismatic Premier League grounds with a fantastic atmosphere. It has been renovated and expanded several times since its opening and has also been used as home grounds for Charlton and Wimbledon, alongside Palace. The Eagles lost their first ever game their 1-0 to Sheffield Wednesday but fared slightly better in 1992, when the Premier League began. They played out a thrilling 3-3 draw with Blackburn, with an Alan Shearer brace earning the visitors a point. A grand old team to play for at an incredibly historic ground. Since opening in 1892 it has witnessed some of the greats take to the turf, such as Eusebio, who scored six goals in two games here at the 1966 World Cup. Of course, Anfield was originally Everton’s home ground before a rental dispute lead to them leaving and Liverpool FC being formed to play there. Indeed, Everton are likely to build a new stadium on the Bramley-Moore dock, in the hope this will propel them to the next level. Everton are Premier League ever-presents and played at an unspectacular 1-1 draw with Sheffield Wednesday in 1992 to begin their Premier League journey. One of England’s most famous stadiums with great history. The original cottage, now in the corner of the ground, was in the centre circle with woods surround it. Those woods were used by Anne Boleyn to hunt in whilst the cottage itself has had many famous tenants. Queen Victoria, Sir Arthur Conan Doyle and Florence Nightingale have all reportedly stayed there since it was built in 1780. It has hosted Fulham since 1896 but it took Fulham until 2001 to play their first Premier League game there. They beat Sunderland 2-0 which began a successful campaign that saw them finish 13th. Solid. Huddersfield moved into their modern looking ground in 1994 but lost their first game, 1-0 to Wycombe Wanderers. There were just two stands completed and the ground has come along a lot since then. They surprisingly reached the Premier League in 2017 and won their opening two games on their way to survival, beating Newcastle at home in their first home game. Leicester moved from Filbert Street to the Walkers Stadium back in 2002. Of course, Gary Lineker was there to open the venue and they beat Watford 2-0 in their opening game. That result helped them win promotion to the Premier League but the following season they were relegated. They did begin life in the Premier League with a 2-2 home draw to Southampton but they threw away a two goal lead to draw. Kevin Phillips bagged a brace on his Saints debut to leave the Foxes wounded. 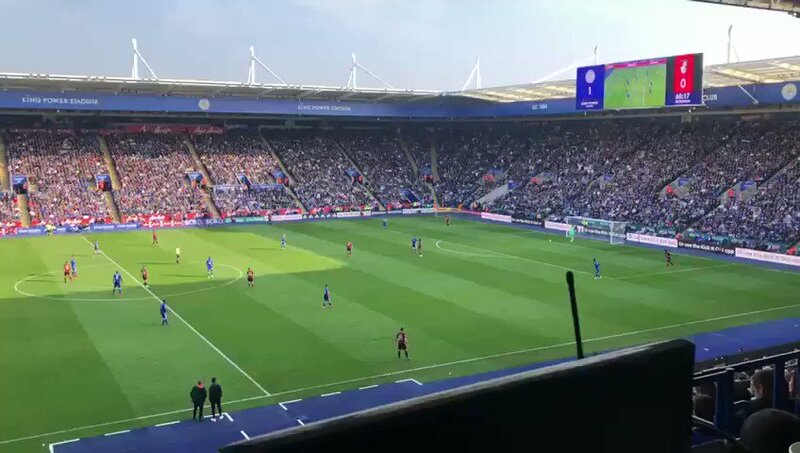 They’ve done alright at the King Power since though winning the Premier League title, although it was also the scene of a devastating helicopter crash that killed their owner, Vichai Srivaddhanaprabha. What a noise, what a powerful and important moment for this club. Jurgen Klopp is bringing the good times back to Anfield but things have not been great in the Premier League era for the Reds. 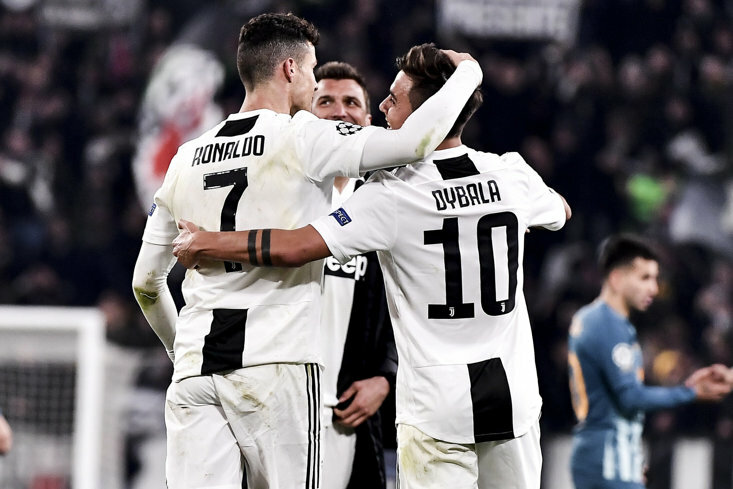 Their home form now is simply incredible, having gone 37 games without defeat and they also started well in 1992, winning their first game at Anfield 2-1. Sheffield United were the victims that day but Brian Deane did bag the first goal for the visitors. 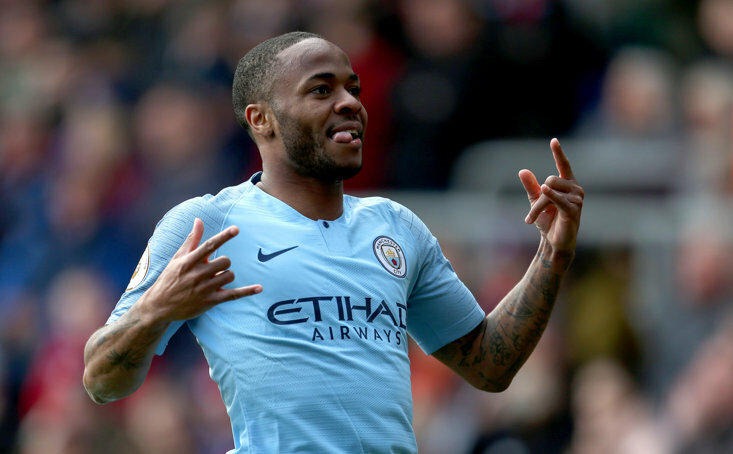 You could be tricked into thinking that City’s move into the Etihad stadium coincided with the money flowing in and things improved on the pitch immediately. However, that was not the case. City moved in in 2003, one year after the Commonwealth Games and held onto their place in the Premier League until they were bought by the Abu Dhabi Group in 2008. Since then they have not looked back and now boast the best team in Europe with a serious chance of winning the quadruple. Back in 2003, City drew their first competitive game at their new stadium with Portsmouth having beaten Barcelona in a friendly just weeks before. The biggest club ground in English football has been home to Manchester United for over a century with Liverpool winning the first game there in 1910, 4-3. United found their feet once the Premier League began and in 1992-93 they won the league and began a stonking run of success under Sir Alex Ferguson. However, they did lose their first Premier League game at Old Trafford, receiving an absolute spanking off Everton, losing 3-0. They were 20th after three games but one defeat in their last 16 saw them cruise to the title. Opened in 1892, St James’ Park is one of my favourite football grounds anywhere in the world. Slap bang in the middle of Newcastle town centre it has one of the best atmospheres in the Premier League and again is packed full of history. Newcastle have faced some tough times in recent years but the fans still streamed into the stadium every other week to watch their team. During the 90’s Newcastle established themselves as one of the major forces in English football. After sealing promotion to the Premier League in 1993, they then finished third in their first season up, a remarkable achievement for a Kevin Keegan’s side. Their first home game ended in defeat, however, with Tottenham snatching all three points on Tyneside. Southampton moved from their iconic ground The Dell to St Mary’s back in 2001 and have come through some tough times on the south coast. They dropped from the Premier League to League One before bouncing all the way back and they are now an established side in the top flight. In the 01-02 season, they started appallingly despite the new ground. They lost failed to win in their opening five league games and Stuart Gray was sacked midway through the season and replaced by Gordon Strachan who rescued the season. Chelsea handed them their first defeat at St Mary’s with a convincing 2-0 win. Tottenham’s old home was opened in 1899 and served as their home for 118 years. Their first Football League game came in 1908 as they beat Wolves 3-0 and Spurs will be hoping for a similar start at their new ground tomorrow. In the Premier League in 1992, however, things did not quite start so well. Coventry spanked them 2-0 in the first home game whilst they failed to win any of their opening five games. They eventually finished 8th. Watford reached the Premier League in 1999-2000 after back-to-back promotions but they were out of their depth in the top flight. Vicarage Road hosted Premier League football for the first time since opening in 1922 but the season ended with relegation. Their first Premier League game ended in a home defeat to Wimbledon, who came out on top in a 3-2 thriller. Their home form was okay as they won five games at Vicarage Road but it was their away form that sent them down, with just one win on the road all season - remarkably at Anfield. The Hammers have recently moved from Upton Park to the London Stadium as they moved away from their famous old ground in a bid to increase attendances and revenue. The move has been criticised by many fans who feel the former Olympic Stadium lacks atmosphere and the fans are too far away from the pitch. Despite five defeats in their first six games of the season, West Ham did win their first at the London Stadium against Bournemouth. They ended the season in 11th with the bottom half of the table incredibly tight. Molineux looks like a new ground but it has in fact been in place since 1889. The ground has received investment in recent years which has increased the capacity by almost 8,0000. They bounced up to the Premier League in 2003 for their first season in the top flight but as with many clubs, went straight back down. Their season started badly with a 5-1 defeat at Blackburn and it did not get any better at home. Charlton came to town and spanked them 4-0. They’ve certainly improved since then and could be welcoming some of Europe’s big boys to the Midlands next season.